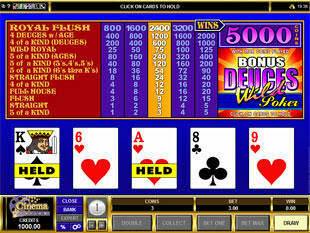 Cinema Casino brings you great joy of playing favourite gambling games like video poker right at home. 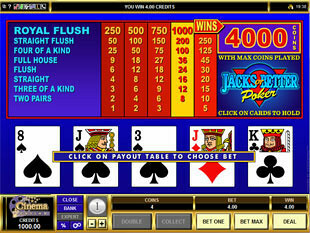 This casino was founded back in 1999, and works exclusively with Microgaming platform. You can try over 550 popular gambling games with the average payout percentage of 95.75%. 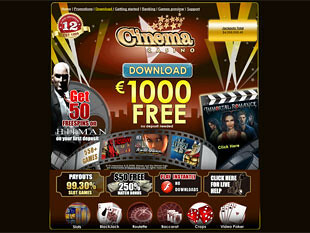 At Cinema casino you can get different bonuses including the $1,000 No Deposit. Those who like to get ever more can also try a 250% Match Bonus or 50 Free Spins played on their most popular slots machine. All games at Cinema Casino are powered by Microgaming, so US players are not accepted, unfortunately. If you like to get extra cash while playing your favourite games, Cinema Casino has prepared a good bunch of interesting offers. Not so many casinos suggest to try a welcome bonus of $1,000 Free Cash. It is awarded for playing during 60 minutes. Within these 60 minutes you need to make at least 100 bets. All your wins have to be wagered 50 times. Also you need to deposit at least $20 to transfer or cash out money won. 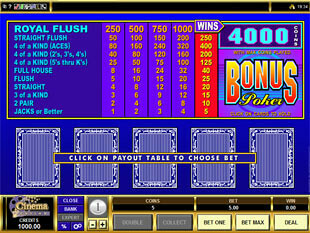 Another interesting bonus option you can get at this nice casino is a 250% Match Bonus for $20 first deposit. This nice bonus gives you a total of $70 instead of $20, though you have to wager it at least 50 times. This bonus is your chance to start winning good sums without depositing much as it’s required in some other online casinos. The slots fans will admire another interesting offer awarded after the first deposit. You can get 50 Free Spins with the maximal number of lines at Hitman Slots, which is the most popular online slots machine at Cinema Casino. These free spins are awarded if you claim the bonus via Helpdesk. You will have to wagered all you win with this bonus 50x. 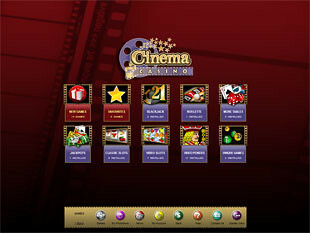 The last but not the least, you can participate in a Loyalty Program at Cinema Casino. Every $10 wagered will give you 1 Loyalty Lounge Point. When you have 500 or 1,000 points you can exchange them for 2 or 5 casino credits, respectively. The sum of reward corresponds also with your account level. Depending on how long you stay with Cinema Casino you can have Blue, Silver, Gold or Platinum Lounge account. This fantastic casino offers you more than 550 popular games of chance developed by the experts from Microgaming. The games in the lobby are subdivided into several groups: Video Poker, Blackjack, Roulette, Jackpots, Table Games, Classic Slots and 5-Reel Slots. All these options include an unbelievable variety of games both with classic and special rules. With this choice you won’t get bored, for sure. 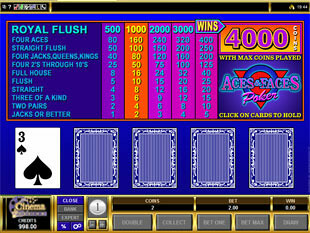 For instance, you can try over 50 versions of Video Poker including Jacks or Better, Deuces Wild, Joker Poker, All Aces, Aces and Faces, and many other options offering you to win more. Also, like in most Microgaming casinos, you are suggested to try Bonus Poker and Power Poker versions providing more profits and special rules. with many different services. The two-way banking operations at this casino are available if you use, for example, Visa and Maestro for card payments, or Moneybookers/Skrill, Instadebit, Neteller, ClickandBuy, Click2Pay, ECO Card and many other.